On this page you will find information on many common mental health concerns, including warning signs of mental disorders, treatment options, and preventative measures. The information contained herein is for informational purposes only. It is not intended as, and is not, a substitute for professional medical advice. All decisions about clinical care should be made in consultation with your treating physician. To locate a psychiatrist in your area, click here. The medical specialty concerned with the origin, diagnosis, prevention and treatment of mental disorders. 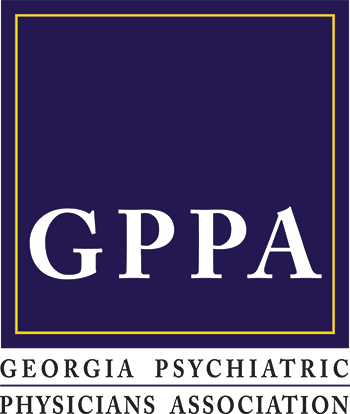 Physicians specializing in this field - psychiatrists - hold a medical degree and spend four years or more in approved residency training. They must be licensed by their state in order to practice. Psychiatrists are physicians, medical doctors or doctors of osteopathy and are the only mental health professionals licensed to prescribe medication. An academic discipline, a profession, and a science dealing with the study of mental processes and behavior of people and animals. A psychologist holds a degree in psychology from an accredited program. Many providers of clinical psychological services are licensed under state law, whereas those who teach or do research are usually exempt from licensure requirements. Licensed psychologists generally hold a doctoral degree in psychology and have two years of supervised work experience. Psychotherapy is the treatment of individuals with emotional problems, behavioral problems, or mental illness primarily through verbal communication. In most types of psychotherapy, a person discusses his or her problems one-on-one with a therapist. The therapist tries to understand the person's problems and to help the individual change distressing thoughts, feelings, or behaviors. The therapist helps patients understand the basis of these problems and find solutions. Treatment may take several sessions over a several weeks, or many sessions over several years. A theory of the psychology of human behavior, a method of research and a system of psychotherapy, originally developed by Sigmund Freud. Through the analysis of free associations and the interpretation of dreams, emotions and behavior are traced to instinctive drives that are repressed and defenses against them in the unconscious. The goal of treatment is to eliminate or reduce the undesirable effects of unconscious conflicts by making the patient aware of their existence, origin and inappropriate expression. Anxiety and fear are often used to describe the same thing. When the word "anxiety" is used to discuss a group of mental illnesses (anxiety disorders), it refers to an unpleasant and overriding inner emotional tension that has no apparent identifiable cause. Fear, on the other hand, causes emotional tension due to a specific, external reason. Anxiety disorders include generalized anxiety disorder, phobias, panic disorder, obsessive-compulsive disorder and post-traumatic-stress disorder. These disorders are severe enough to interfere with social functioning. Learn more about Anxiety. A panic attack, the core feature of panic disorder, is a period of intense fear or discomfort that strikes suddenly, often in familiar places, where there is seemingly nothing threatening an individual. But when the attack comes, it feels as if there is a real threat, and the body reacts accordingly. The discomfort and sense of danger the attack brings is so intense that people with panic disorder often believe they are having a heart attack or other life-threatening illness. “Fear” is the normal response to a genuine danger. With phobias, the fear is either irrational or excessive. It is an abnormally fearful response to a danger that is imagined or is irrationally exaggerated. People can develop phobic reactions to animals (e.g., spiders), activities (e.g., flying), or social situations (e.g., eating in public or simply being in a public environment). Phobias affect people of all ages, from all walks of life, and in every part of the world. Having a baby is supposed to be a joyous time in your life, but for women suffering with depression it can become very distressful and difficult. An estimated 13 percent of new mothers experience depression after childbirth (postpartum depression). Depression is a treatable medical illness involving feelings of extreme sadness, indifference, and anxiety. During the fall and winter months, some people suffer from symptoms of depression that can appear gradually or come on all at once. These symptoms often dissipate as spring arrives and stay in remission through the summer months. For some people, this is a sign that they suffer from Seasonal Affective Disorder (SAD).